Diageo, the FTSE-100 drinks giant behind Smirnoff and Guinness, has kicked off an auction of US-focused spirits brands including Goldschlager, a cinnamon schnapps it has owned for more than 20 years. 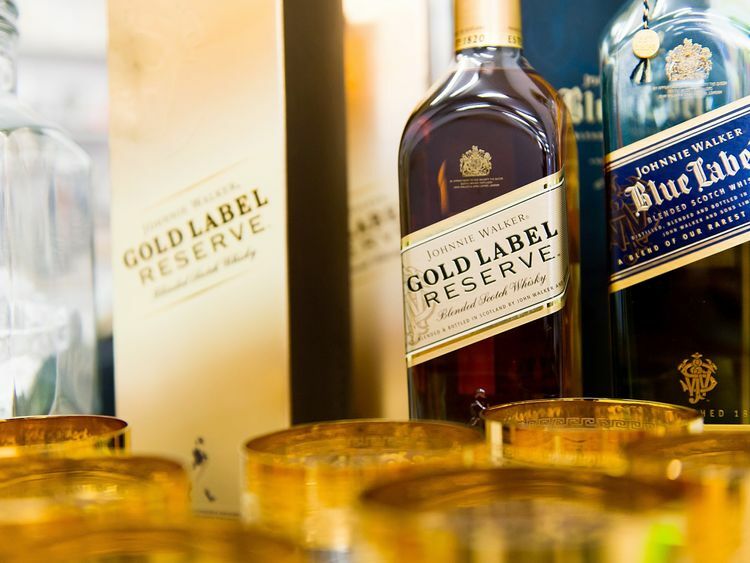 Sky News has learnt that Diageo, which is pursuing a strategy to focus on premium labels, began holding talks with potential buyers of the portfolio in recent weeks. The brands earmarked for disposal include Myer's Rum, which launched in the US in 1934; Popov, a vodka label; and Romana, a Sambuca brand.Centerview Partners, an investment bank which specialises in consumer goods deals, is handling the sale process, according to a person close to Diageo.Insiders said on Thursday that the divestments related to brands which were non-core to Diageo, and that they were likely to command an overall price tag of between $500m and $1bn. Private equity firms have commenced work on prospective bids for the portfolio, which Diageo is keen to sell in a single transaction, said one.The sale process is expected to last for several months.A City analyst said news of the auction indicated that Diageo was being disciplined about its global portfolio of more than 200 beer and spirits brands. "The company has set out a focus on global, premium-and-above brands and price segments, and this appears to fit in with that," he said.Diageo declined to comment on the details of the sell-off.A spokesman for the company said: "We regularly review our portfolio to ensure we are maximising shareholder value." With a market capitalisation of close to €67bn, Diageo is one of the world's largest alcoholic drinks producers.Ivan Menezes, its chief executive since 2013, has intensified its attention on key global brands such as Johnnie Walker, the whisky, its 'ultra-premium' vodka Ciroc, Tanqueray gin and its Baileys cream liqueur.Mr Menezes had been under some pressure from investors during a period of faltering sales, but has been boosted by evidence that his strategy is paying off for Diageo.At its half-year results in January, the company said a 6.1% rise in operating profit to €2.2bn demonstrated "continued positive momentum".Diageo is perennially touted as a potential bid target for one of the few spirits groups larger than it by value or a financial investor such as 3G Capital, the owner of Kraft Heinz.Mr Menezes has sought to streamline the business by selling other assets including Gleneagles, the Scottish hotel and golf resort it offloaded for €200m three years ago.He then sanctioned the disposal of its wine portfolio a year later to Australia's Treasury Wine Estates in a €360m deal. The Diageo chief has also been on the acquisition trail, snapping up Casamigos, a tequila brand co-founded by the American actor George Clooney, for $1bn last year.One insider suggested that Diageo was likely to confirm the fact that it is exploring a sale of the US spirits brands when it reports full-year results towards the end of July.